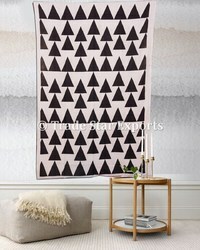 These beautiful Twin tapestries are screen printed with beautiful patterns, the fabric is stone washed which gives a wonderful color effect and feel to the fabric. 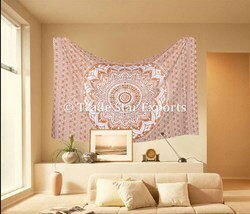 These are beautiful piece of art at the most reasonable prices and can be used as: Wall Hanging, Bed Cover, Table Cloth, Curtain, Room Décor, Picnic Blanket, Beach Throw. 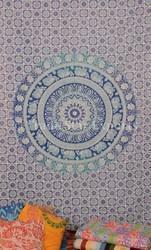 Size 140 X 220 Cms. 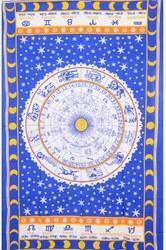 A Blue zodiac Signs Tapestry. 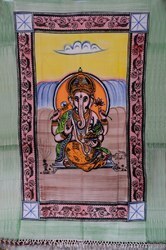 A Vibrant Multi Color Hand Painted Lord Ganesha Tapestry. 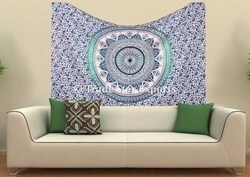 Peacock Boho Urban Mandala Tapestry. 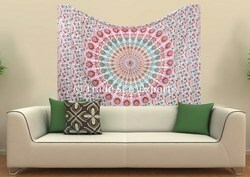 - Ombre Mandala Twin Tapestry. 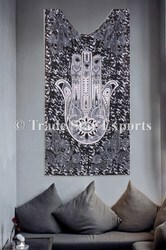 Dimension (Length x Width) 140 X 220 Cms. 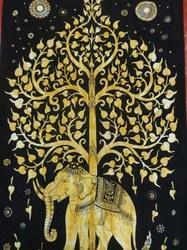 Size: 140 X 220 Cms. 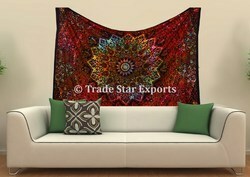 A Vibrant Multi Color Cotton Mandala Tapestry. 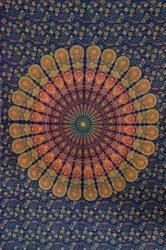 Indian Spiritual Tie Dye Om Tapestry. 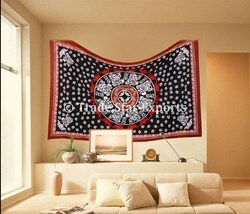 Indian Tie Dye Peace Sign Tapestry. 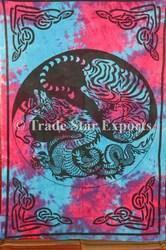 *OEM Services custom services packaging provider. 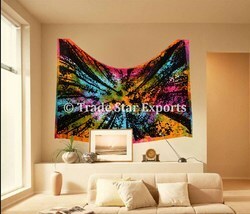 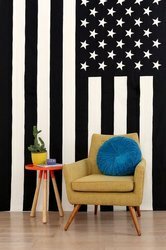 Ethnic Cotton Tie & Dye Urban Tree Psychedelic Bohemian Hippie Home Decorative Wall Art Twin Tapestry. 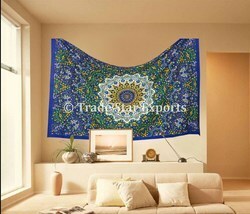 This Rich & Bright Multi Color Tie Dye Urban Tapestry adds a pop of color to any living space.A Tree Of Life Hippie Tapestries, Screen Printed Twin Bohemian Tapestries, Add a Natural Feel To your Wall Decor With These Cotton wall decor, 100 % cotton fabric wall décor. 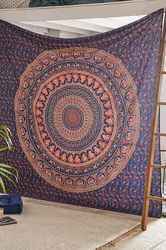 Tree Of Life Tapestry Tree Wall Hanging Indian Hippy Bohemian 100% Pure Cotton Bedspread.Beautiful screen printed tree tapestry wall hanging tapestries ,this beautiful gorgeous design is a art of culture of india, this beautiful tapestry can be used as christmas tree. 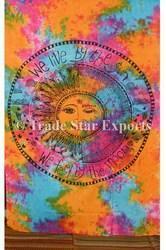 Packaging Details: As Per International Standards Export Quality Poly Bags And Box Packed. 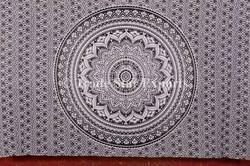 Size 140 X 120 Cms. 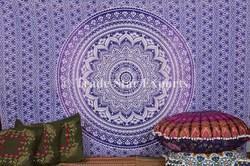 Indian Mandala Hippie Twin Tapestry. Exclusive Indian Star Mandala Urban Twin Tapestry.